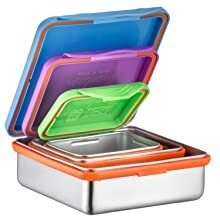 Reusable stainless steel containers are a great alternative to plastic baggies. 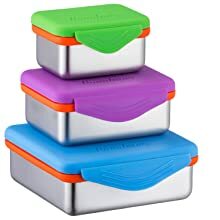 Comes in a set of 3, made from food-grade stainless steel which is free from BPA, lead, PVC and phthalates. 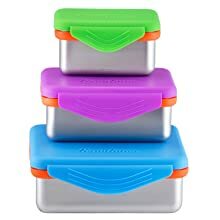 Perfect size for toting little sandwiches for your kids, cut veggies, nuts, berries, goldfish crackers, cookies, hummus, and more. Great to use for portion control. 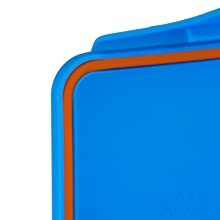 Leak proof seal snaps on and off. 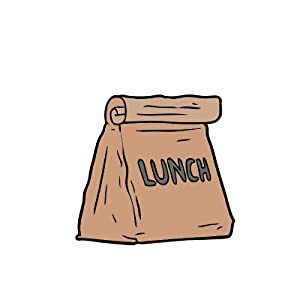 Tired Of Boring Brown Bagged Lunch? Lunch is an important part of the day to keep you going. 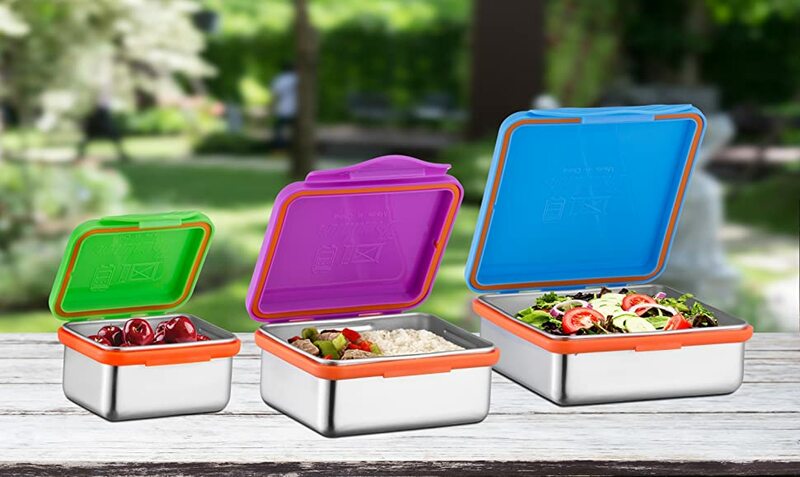 Pack something you enjoy for a change... Oh, and with our fun colors, bring your lunch in style! "The design is not boring. Adds life to the usual packed lunch. And it's leak-proof so no need to worry about the mess. It's also tremendously easy to clean it up. Liked it. "